Explicit Cult Classic SUPERNATURAL Hits Episode 300! 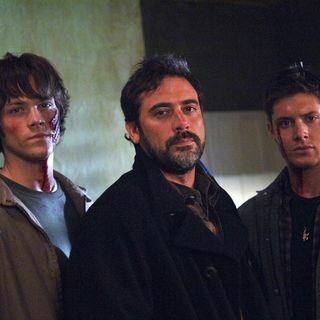 Here at World’s Best Media, SUPERNATURAL is one of our favorite shows of all time! So we’re very happy to see that the show reached an iconic milestone with it’s 300th Episode in it’s 14th Seasons! With the cast and crew’s enthusiasm showing no signs on slowing down, with the storytelling being as strong as ever, despite entering it’s 15th season this fall, SUPERNATURAL isn’t going anywhere! Join Paul’s Jr. & Sr. as they discuss the show’s 300th Episode and take a look at why this excellent ... See More genre series has had such staying power. So sit back and enjoy our tribute to SUPERNATURAL on the anniversary of it’s 300th episode!